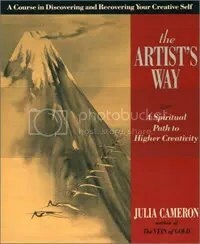 I am a graduate and advocate of Julia Camerons process called “The Artists Way”. It is a twelve week creative recovery process and for the 84 days and beyond – takes you into a very personal place of Creative healing, recognition, recovery and empowerment. A self inventory and reclaiming of some ofthe inner gifts and talents we may have lost touch with. The Artists Way takes you on a 12 week, deeply intimate journey with the Self….this process changes lives and I have been the Artists way buddy for several people over the years, all who have had life changing results as a result of recovering their Creative Self, especially if they complete the process as many people begin but aren’t yet ready to commit to completing the full journey. For graduates, the journey of the Artists Way releases many of the myths and monsters, limiting habits and old patterns around Creativity in order to craft the kind of life they seek, rather than the one they have been living. Here are some Amazon reviews for The Artists Way…it is not for everyone but many attest to it being the process that changed their life! In 1998 my world came tumbling down- as in Crash! Over the few month prior to the Crash! I had completed the “The Artists Way”, Julia Cameron’s outstanding 12 week-study-at-home Creative Recovery course. For 84 days and nights I had been affirming & engaging in exercises that release limiting patterns and creative self-sabotage, not realising that making such big bold statements would result in big bold changes, many of them unexpected and hugely challenging, arriving as part of the Creative Recovery process. The Artists Way is based on the principles of reclaiming the free flowing, innate Creativity that all of us are born with and releasing the learnt patterns and impact of a competitively oriented education system that can disengage us from developing our fullest creative potential! In February of that year I very reluctantly left the home I loved so dearly, left a relationship and in that upheaval lost my big garden with the wonderful big Cedar tree. It all came to this bare and barren place.. I was running personal development groups for homeless women at the time and knew that life was calling me to ‘walk my talk’ like never before and to move to a new level of ….everything. 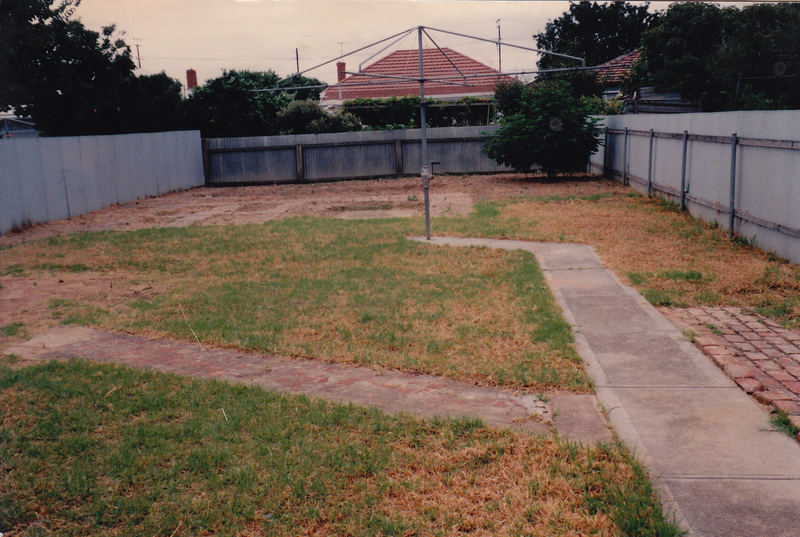 Seeing the Garden of my dreams clearly in my mind, I began seed by seed and pulling weed by weed to plant my new Garden. I planted a Forgiveness tree, 4 gum trees to honour the Elements, the 4 directions and the Mind , Body, Spirit and Emotions which make up the wholeness of who we are.Lavendar bushes for my Grandmother’s memory. 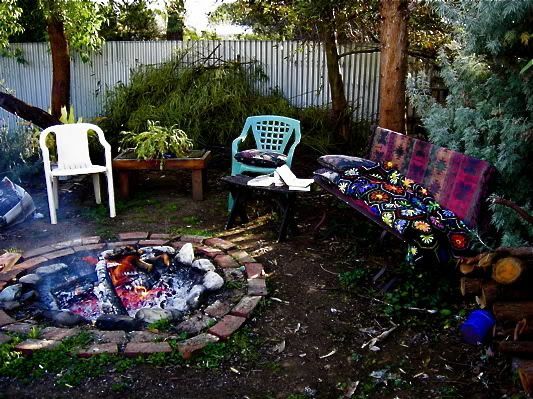 I remembered the principles I had learnt in my readings of the Findhorn Community in Northern Scotland and invited the nature Spirits and the elemental world to partner with me in my Healing Garden. How generous they were over the next few years! My mother shared in some of the Healing Garden journey and planted a rose bush for her Mother, with a message of forgiveness and letting go in a mandala she created then planted in the baby rose bushes soil. That first winter I did little other than weep, sleep and work and dig. It was the ‘deep dark day of the Soul’ like I had never known before as I shed the layers of old patterns and life styles and beliefs ~ beLIEfs ~ and expectations that had taken me to a barren garden and home without love. In spite of the turmoil and sadness and loss, i understood that I was in the midst of what Joseph Campbell refers to as “The Heroes Journey” and my call to ‘adventure’ meant that I had the choice to create a new garden seeded with the intent for a happy, loving, abundant life and that the s*it from yesterday was indeed the fertiliser for the new day and new garden. 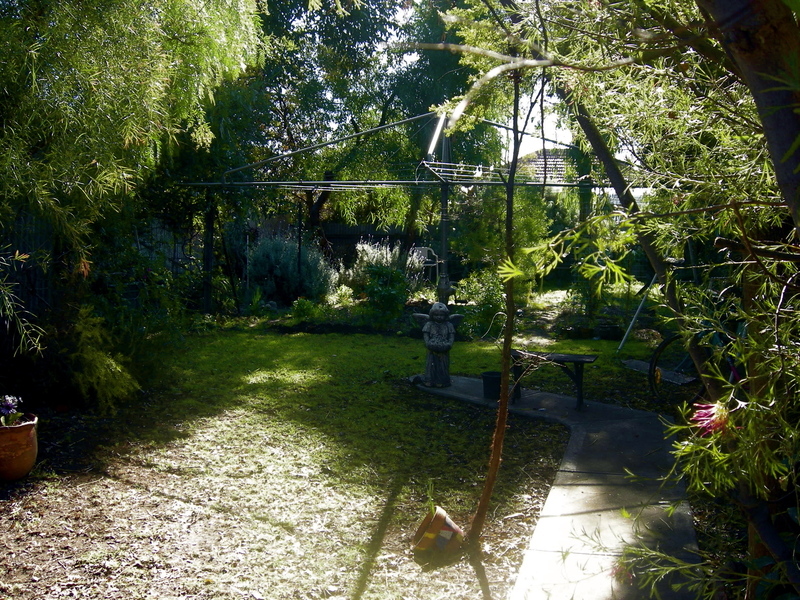 What my Garden has taught me is that if we affirm “I create the life of my dreams” and “I live a peaceful, fulfilling life”….then the circumstances and things which are not in keeping with this decree will start to fall away (sometimes very quickly!) and that might mean a period of enormous turmoil and loss and upheaval. It can be pretty uncertain as we move to certainty. But if we, one seed at a time, clear the soil, extract the weeds and water and love and cherish our Ideal. And we no longer seek to mix oil with water by living in circumstances of chaos or drama or unhappiness whilst affirming that we deserve the best and blessings of Life’s wonderful gifts. We release that which no longer serves our life’s purpose and allow a new vision to unfold. Sometimes the transition from the old to the New can be a time filled with chaos and uncertainty, just like we see when the wild winds and heavy rains precipitate the gorgeous-glorious gardens of the Spring time – but it is worth it because the place beyond the uncertainty and the difficult times is a far more peaceful, creative place than the one we once thought we could never leave. Regarding leaving the magnificent Cedar tree that I loved so much. A year after moving to the now-not-so-barren-house I noticed that a pot plant I had brought from my old home had sprouted a small Cedar tree from a seed dropped from the original “mother” tree. Over the next few years it out grew the pot, splitting the sides and sending its roots down into the soil, eventually becoming a fully sized (15 feet) Daughter-Tree of the one I had to leave behind. Not only that but a fig tree magically appeared along side, no doubt seeded by a bird in flight dropping magic-fertiliser on my garden! The Cedar tree taught me that once we learn to let go and release, it will return to us! Not in the exact same way or even looking as we thought it would /could/ should but it will return once we have weeded out the things that have been keeping it away.